Mr Bong rose to prominence after The Register identified him as one of Silicon Roundabout's leading lights in 2011. With his strong track record in losing billions at VC firm Woodstock Capital, and his slightly sketchy grasp of technology, he quickly became a star of London's venture capital community. His colourful international background meant he had an enviable contact book. He became a regular contributor for five years, although the frequency has diminished since Brexit. 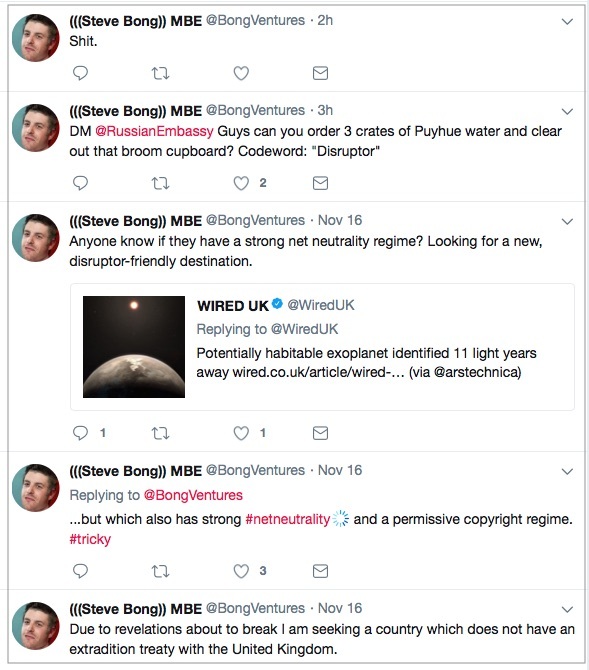 The referendum had left Mr Bong "a broken man", friends confided, as London's VC community faces up to the loss of one third of its capital funding. And a deal struck with the incoming Prime Minister left Mr Bong with only one functioning kidney. "Yes, there is a piece of me inside Theresa May," he confirmed in a rare return to columnification this year. It's all a far cry from his role at the heart of both David Cameron's domestic Digital Revolution, and clandestine British operations overseas. For all his many flaws (which unfortunately include cannibalism), Steve leaves us with a rich legacy of material to sell ads against. Highlights include saving Shoreditch's cereal cafe twins in the dramatic "Siege of Leningrad"; the aborted Steve Jobs movie script which featured a surprisingly prominent role for Mr Bong; and his dramatic rescue of the fugitive Edward Snowden. This is the second time The Register has lost a celebrity columnist in the past decade. Otto Z Stern, Director at The Institute of Technological Values, committed suicide using customised industrial mining equipment in 2008.